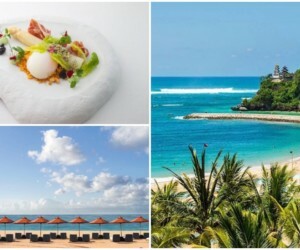 Here's all you need to know about the swanky Nusa Dua neighbourhood - your personal guide to the most luxurious resorts, restaurants, beaches & more! Ahhhh, Nusa Dua. Bali’s oh-so swanky neighbourhood full of five-star resorts, powder-white beaches and water sports galore for plenty of family-friendly fun in the sun. 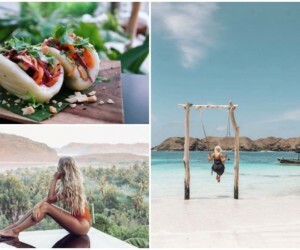 With so many awesome things to do, stunning beachfront hotels to stay in, and fine dining restaurants to tickle those taste buds at, planning the perfect Nusa Dua itinerary can be as hard as choosing which pristine beach to prop up at. 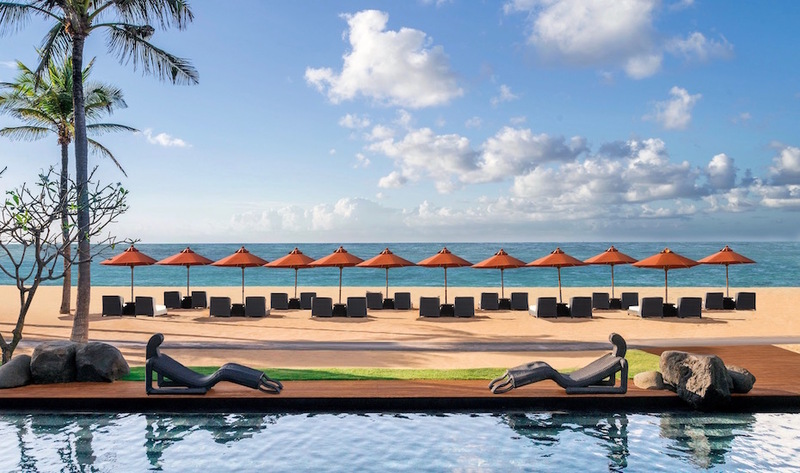 So, we’ve put together this ultimate Nusa Guide to help you on your next holiday, be it a blowout honeymoon in a fancy resort, an action-packed getaway with the kiddos, or a well-deserved island escape with your bestie – here’s everything you need to know about Nusa Dua. 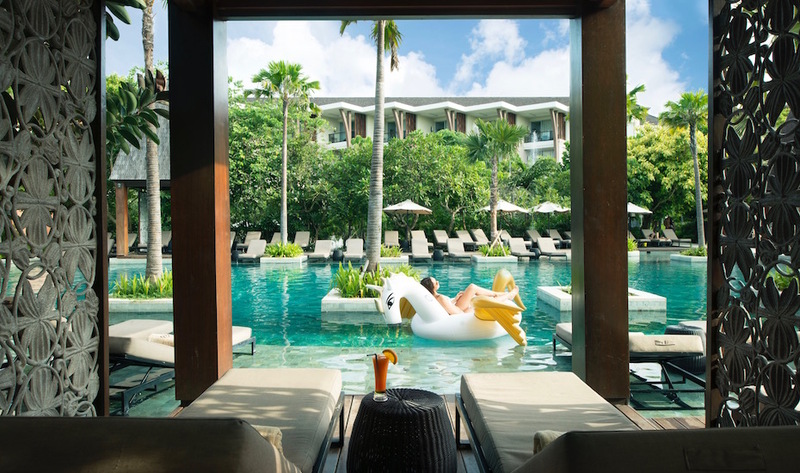 A spectacular mix of French elegance and unique Balinese culture, the très chic and ever-magnifique Sofitel Bali Nusa Dua Beach Resort is a sophisticated Nusa Dua stay – home to private plunge-pool luxury suites, panoramic ocean views, Presidential Villas and endless, haute couture cuisine. Relax in the gorgeous landscaped pools, take a leisurely walk along the leafy pathways, or unwind with soothing treatments at So SPA. 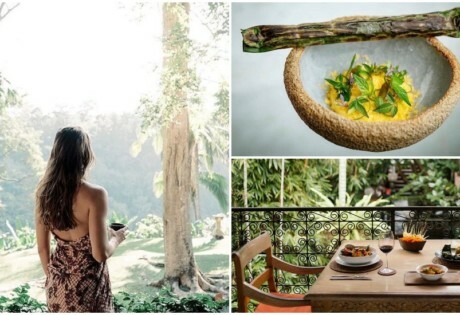 Foodies, you’ll want to stay here for one of the most impressive resort breakfasts we’ve ever tried, and you’ll certainly want to come back for one of Bali’s all-time fave Sunday brunches. Softitel Bali Nusa Dua Beach Resort, Kawasan Pariwisata BTDC, Lot N5, Nusa Dua, p. +62 361 8492888. A luxury resort that capture the essence, art and identity of Indonesia, The Apurva Kempinski Bali is a six-star ode to its homeland. The breathtaking interiors have been crafted by local artisans, the impressive architecture resembles a majestic open-air Indonesian theatre, award-winning restaurants use the flavours of the archipelago, and the striking designer suites are peppered with indigenous artefacts, rich exotic woods, local fabrics and iconic Indonesian motifs. Even the luxe treatments at the ocean-facing spa are inspired by traditional Balinese healing. 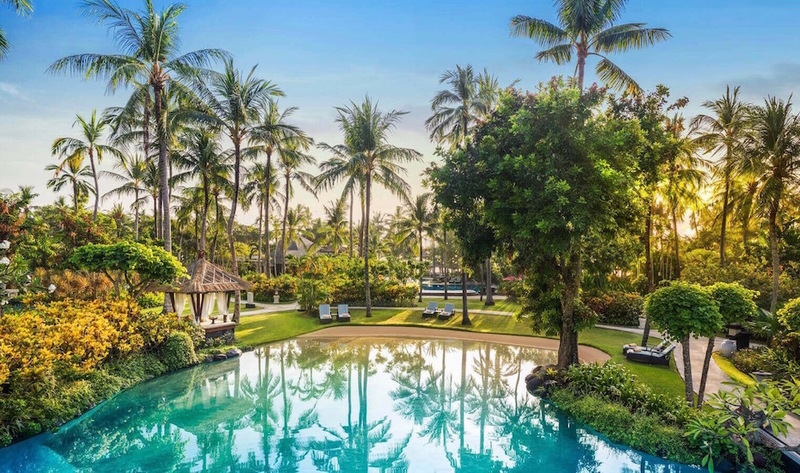 It’s the perfect balance of time-honoured tradition and twenty-first century indulgences, beautifully finished with those all-important ocean views and lush tropical landscapes that Nusa Dua is so famous for. The Apurva Kempinski Bali, Jl Raya Nusa Dua Selatan, Sawangan, Nusa Dua, p. +62 361 209 2288, e. info.bali@kempinski.com. Winner of countless prestigious awards, including “Best Hotel in the World” two years running by Condé Nast, The Mulia, Mulia Resort & Villas is a breathtaking tropical paradise packed to the luxurious brim with six-star indulgences. For starters, it sits beachfront on the gorgeous white sands of Nusa Dua’s most beautiful bay, with multiple pools to relax in, a stellar collection of gourmet restaurants (home to one of Bali’s most beloved Sunday brunches) and stylish designs throughout the suites and private villas that have their own hydrotherapy pools. 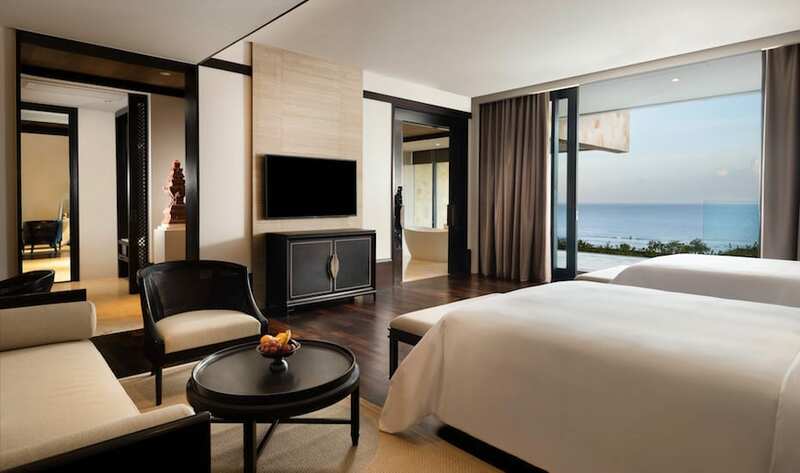 This is swanky Nusa Dua resort-living at its finest. 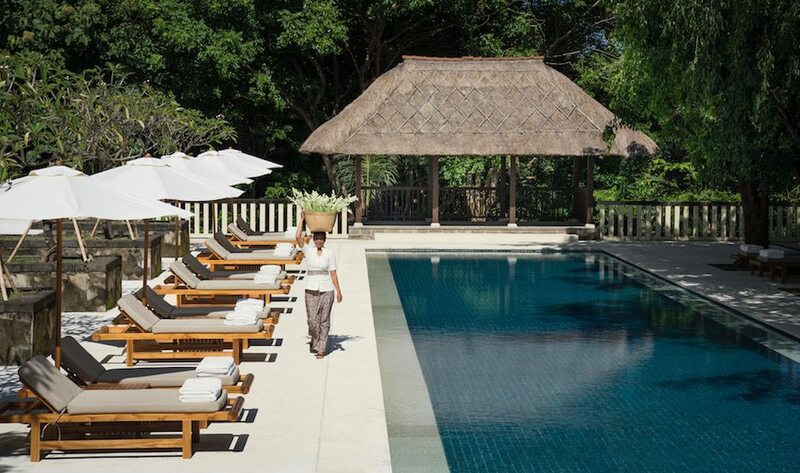 The Mulia, Mulia Resort & Villas, Jl Raya Nusa Dua, Sawangan, Nusa Dua p. +62 361 301 7777, e. reservation@themulia.com. 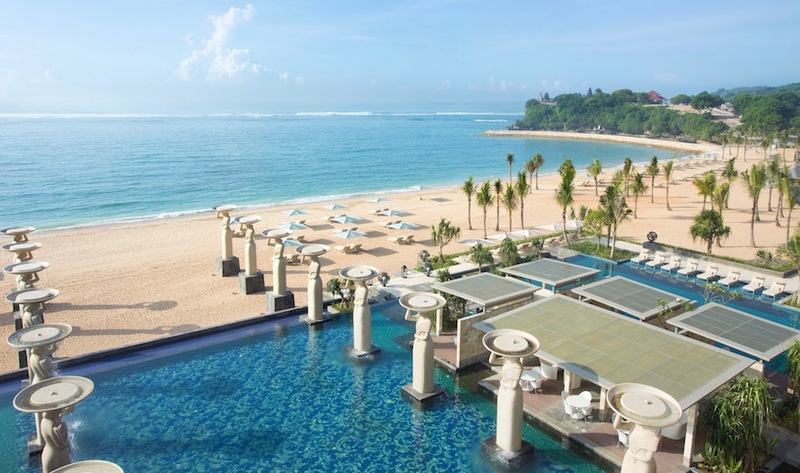 Overlooking a pristine ribbon of Nusa Dua’s white-sand beach with infinite panoramic ocean views, lush gardens and a crystal clear 3,668sqm saltwater lagoon, The St. Regis Bali Resort is nothing short of refined barefoot elegance. It’s no wonder Barack Obama chose to stay here during his Bali trip, with its fine dining restaurants, the ahh-mazing Iridium Spa and the legendary 24 hour bespoke Butler Services – one of The St. Regis brands’ world-class heritage traditions. Stay in one of the exceptional 81 suites, the 41 private pool villas or the majestic two-storey, three-bedroom Strand Residence that sits right on the beachfront. Heaven. 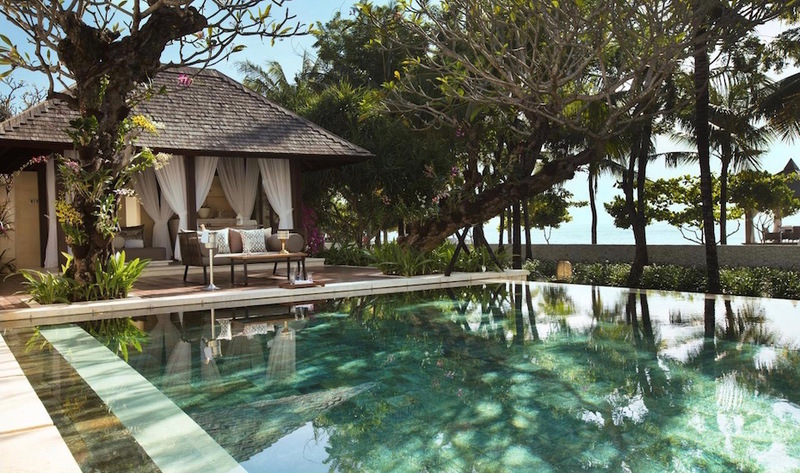 The St. Regis Bali Resort, Kawasan Pariwisata, Lot S6, Nusa Dua, p. +62 361 300 6786. A world-class wellness destination, REVĪVŌ Wellness Resort is Nusa Dua’s go-to holiday spot for inside-out, head-to-toe healing. 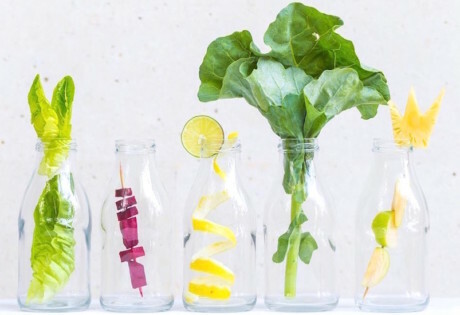 Armed with an alliance of nutritionists, aerial yoga gurus, specialist therapists and crystal healers, when it comes to capturing that idyllic retreat vibe, REVĪVŌ ticks all the right boxes. The private abodes here are hidden in different corners of the resort’s tropical grounds, so your healing holiday won’t be disturbed by others. Meanwhile, medicinal spa treatments, wholesome cuisine and self-awakening activities are designed to shape your healthy itinerary, interrupted only by lazy days spent poolside, soaking up the easy breezy minimalist designs. 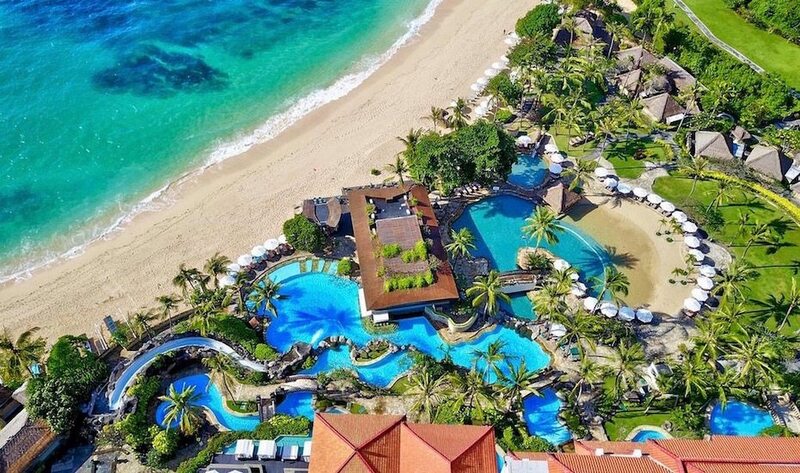 A stunning Nusa Dua resort that stretches across 5000 sqm of tropical greenery, The Laguna, A Luxury Collection Resort & Spa, is a tranquil oasis with seven turquoise blue lagoon pools, luxury private villas and an absolute beachfront address. With so much space and so many sublime luxuries here, it’s the perfect escape for couples and and even families to nab some much-deserved down-time. Relax by the pool with a cocktail in hand and let the warm Balinese sun bronze your skin, or treat yourself to an al fresco holistic treatment a the five-star Lagoon Spa. The Laguna, A Luxury Collection Resort & Spa, Nusa Dua, Bali, Kawasan Pariwisata Nusa Dua Lot N2, p. +62 361 771 327. 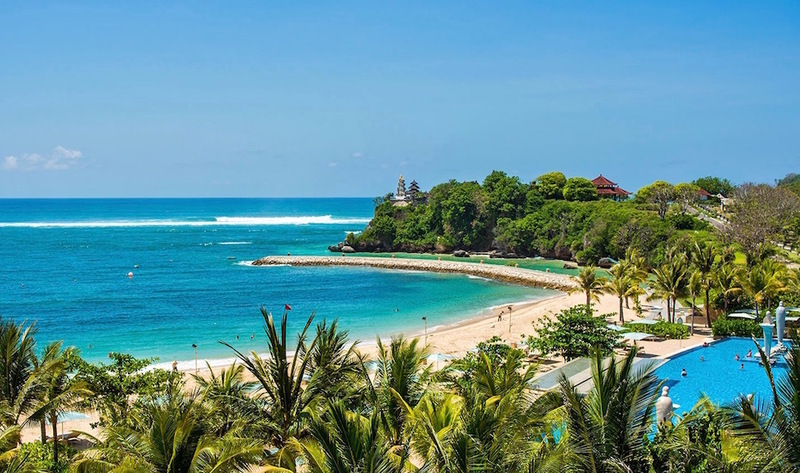 Located on the top of a 40-meter cliff, the Hilton Bali Resort is a gorgeous family destination that still captures that five-star resort feel. For the little ones, there’s a dedicated kid’s pool, a sandy lagoon, waterslides to splish and splash in, tennis courts, and an indoor-outdoor Jungle Kids Club playground with an awesome climbing wall, trampoline and professional supervision. 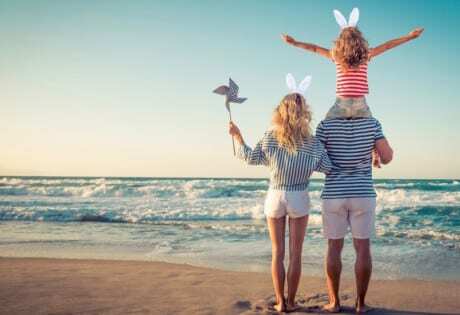 Meanwhile, mums and dads can enjoy the five scrummy restaurants, the cosy daybeds by the lagoon and the gorgeous treatments at the lush Mandara Spa. Hilton Bali Resort, Jl Raya Nusa Dua Selatan, Nusa Dua, p. +62 361 773 377, e. hiltonbali.info@hilton.com. The Royal Santrian is an all-villa resort that comes with all the perks of staying in a hotel – think 24-hour hotel services, a collection of delicious wining and dining destinations and a fab selection of activities, like traditional Balinese cooking classes, daily yoga and in-villa spa treatments. Each villa then comes with its very own private pool and open-air gazebo sheltering an al fresco dining area, plus staff on-hand to tend to your every desire – beachside barbecues included! The Royal Santrian, Jl Pratama, Tanjung Benoa, Nusa Dua, p. +62 361 778 181, info@theroyalsantrian.com. A beach club, restaurant and wine shop combo, Manarai Beach House is Nusa Dua’s hottest daytime destination to know. With easy breezy island vibes and a panoramic palette of paradise in fifty shades of blue, you’ll want to settle in here and graze the entire day away. The menu is all about quintessential comfort food that’s been jazzed up to gourmet standards. 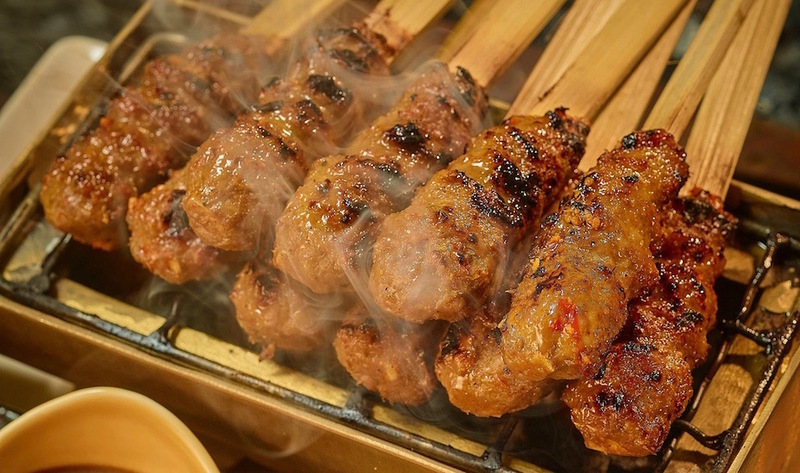 Think sizzling beef satay using fine Wagyu steak, colourful salads and platters of sushi, rolled and topped with ocean delicacies like unagi, tobiko and aburi salmon. Our fave is the Crispy Tuna Tempe (topped with truffle aioli, caramelised onion and a sprinkling of microgreens) – words are futile in describing these creamy, crunchy bites. Pro tip: wash it all down with the whimsical cocktails, or browse and sip your way through the temperature-controlled wine cellar. Manarai Beach House, Lot N5 Kawasan Pariwisata – ITDC Nusa Dua, p. +62 361 4772 727. Open daily 9am -1am. 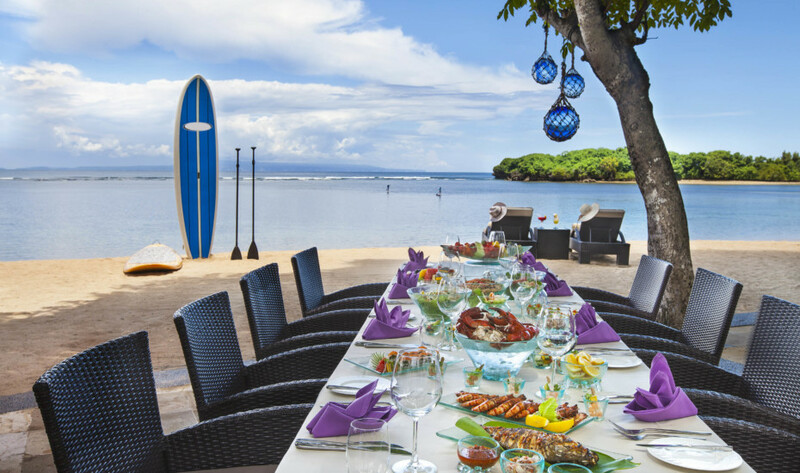 For beachfront fine dining par excellence, head to Kayuputi restaurant at The St. Regis Bali Resort. This elegant and modern space is lavished in bright white wood in honour of its Indonesian namesake, with a grand open kitchen at the centre, a two-storey wine cellar, private dining cabanas on the outdoor terrace (complete with a cool ocean breeze and panoramic views!) and an oh-so chic ambience. Premium Asian-Haute cuisine is the pièce de résistance, paired with a fab wine list and a dazzling Champagne brunch every Sunday. Not ready for the white table cloths and silver service? 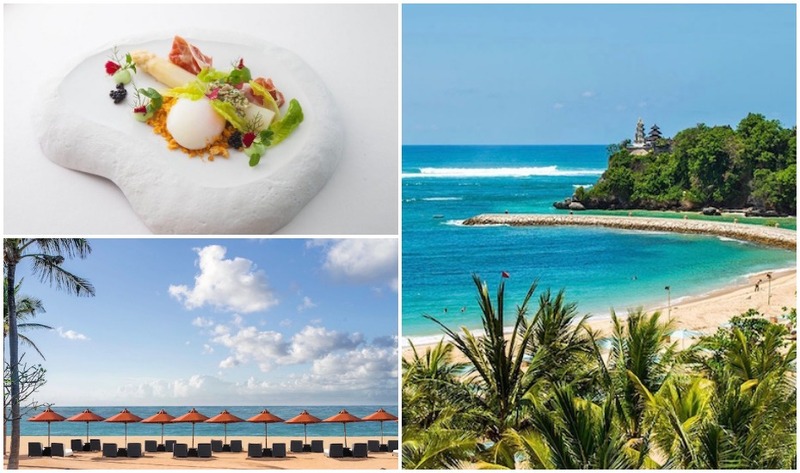 Head to The St Regis Bali’s other signature restaurant, Boneka, with spectacular views at sunset and nightly buffet dinners of global-infused gastronomy. Kayuputi at The St. Regis Bali Resort, Kawasan Pariwisata, Lot S6, Nusa Dua, p. +62 361 300 6786. Home to eleven different dining destinations (yes, eleven! 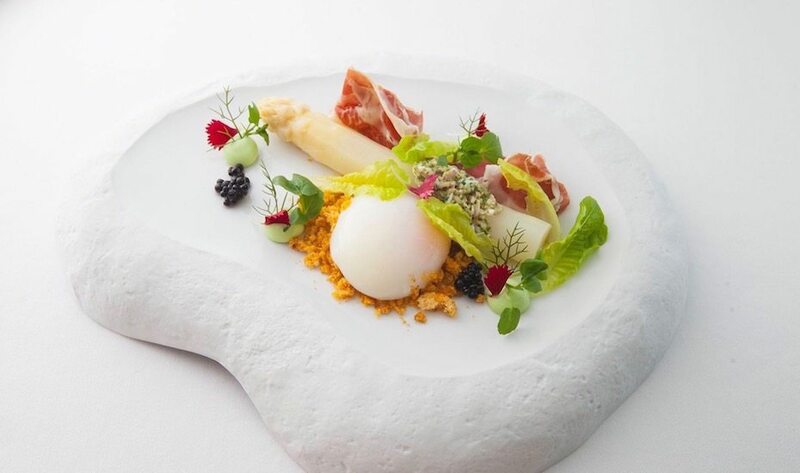 ), Mulia Bali will take you on a culinary tour around the world and back again. 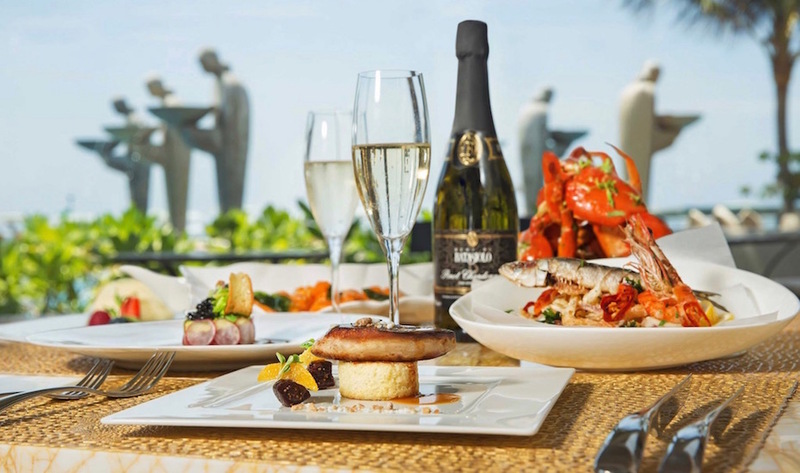 Head to Soleil, the beachfront dining favourite, for Mediterranean and Pan-Asian cuisine (and the ever-famous weekly Sunday brunch), or Edogin for top-notch Japanese dining in an oh-so elegant setting. 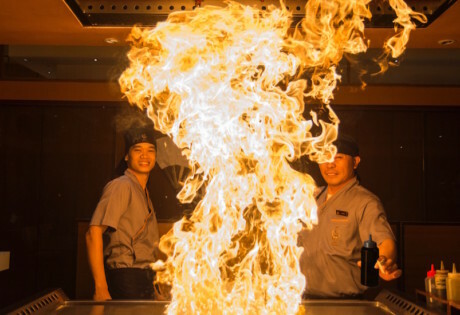 You’ll want to go to Table8 for a grand spectacle of Cantonese and Szechuan cuisine, or The Cafe for live show kitchens and buffet spreads that span the globe. And to finish off this gourmet world tour, Mulia Deli is where it’s at for decadent cakes, chocolates and patisseries. The Mulia, Mulia Resort & Villas, Nusa Dua Jl Raya Nusa Dua, Sawangan, Nusa Dua p. +62 361 301 7777, e. reservation@themulia.com. 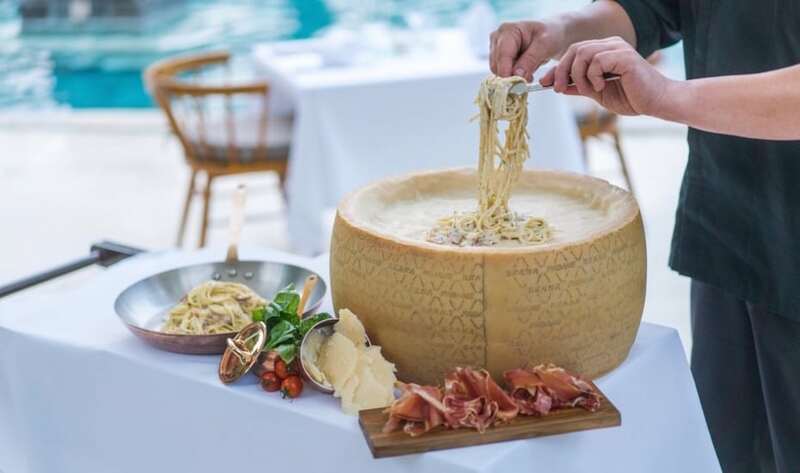 If thin-sliced prosciutto, crispy calamari and top-shelf beef carpaccio sounds like your kind of Mediterranean heaven, then you’ll want to direct your next date to Cucina at Sofitel Bali Nusa Dua Resort. Serving up fine Italian delicacies to Nusa Dua’s foodies, come here for delicious premium meat cuts, fresh-from-the-net seafood and al dente pasta done right. Dine inside the restaurant or take your feast al fresco and eat beside the poolside. Cucina at Sofitel Bali Nusa Dua Beach Resort, BTDC Complex Lot No 5 Nusa Dua, p.+62 361 849 2888, e. H9078@sofitel.com. Arwana at The Laguna Resort & Spa, Kawasan Pariwisata Nusa Dua Lot N2, p. +62 361 771 327. 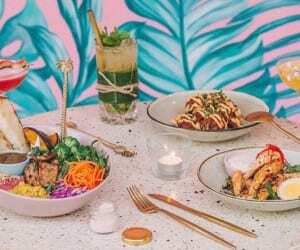 An ode to Bali and all of its best bits, Art Cafe Bumbu Bali is a culinary, cultural and visual art experience from the same people who bought us the legendary Bumbu Bali restaurant and cooking school. The restaurant itself is a representation of a Balinese home, complete with warm and genuine hospitality and decades-old knowledge for cooking authentic Balinese cuisine. The menu highlight has to be the traditional Rijsttafel feast, where plate upon plate is served up around a steaming bowl of rice, featuring over 15 different dishes to sample, swap and share family-style. All of this surrounded by artwork and digital prints that capture and celebrate this magical island paradise. Ahoy there me mateys! 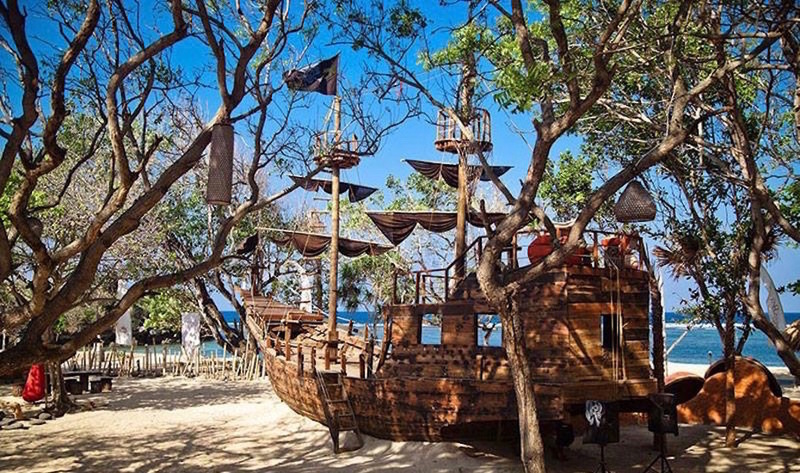 Channel your inner Captain Hook and bring the kiddos to Pirates Bay Bali for some fun family feasting in the sun. This pirate-themed open-air cafe and restaurant is a replica of an abandoned pirate ship that’s been beached on the sand, with tree houses, a bay lookout tower, a pirates’ kitchen and a fun host of treasure hunt activities. 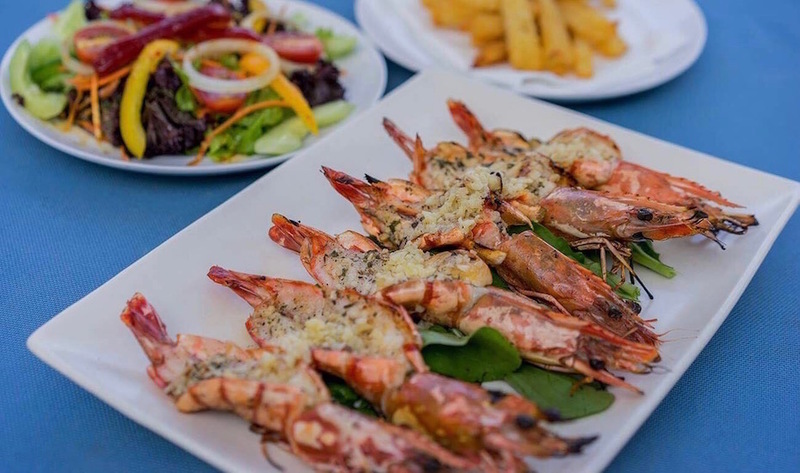 The affordable menu includes both eastern and western food, with plenty of kids options, plus vegetarian dishes too – all of this overlooking the calm ocean bay. Pirates Bay Bali, The Bay Bali ITDC Area Lot C-0, Nusa Dua, p. +62 361 894 8138, e. info@thebaybali.com. Open daily 10am – 10pm. If you’re after a laid-back spot to take your sandy feet and salty hair, then head to Nusa Dua Beach Grill for some beachfront BBQ-ing. Take a break from the up-market five-star restaurants and head to this beachfront spot to ‘chill at the grill’ with an ocean breeze as company. The menu offers a selection of easy daytime fare, such as pizzas and pasta, delicious seafood, and Indonesian staples, alongside a solid list of cocktails and cold beers to boot. Cheers! Nusa Dua Beach Grill, Jl Pura Geger, Nusa Dua, p. +62 851 0045 4779. Nusa Dua has so many water sports on offer, you could spend your entire holiday getting wet and wild. 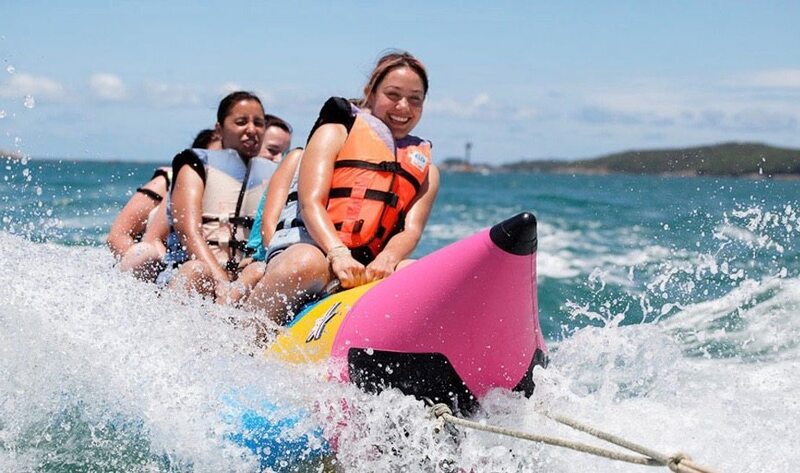 For adrenaline junkies, there’s jet-skiing, banana and donut boat rides, water-skiing, wake boarding, fly fishing and parasailing, or you can fully immerse yourself in the deep and experience the ocean by swimming, snorkelling, surfing, scuba diving and even sea walking. If you don’t fancy getting wet, take a trip on a glass-bottom boat to discover Nusa Dua’s beautiful marine life above board. There are sooooo many ahh-mazing spas to bliss out at in Nusa Dua, so we’ve narrowed down a few of our faves! 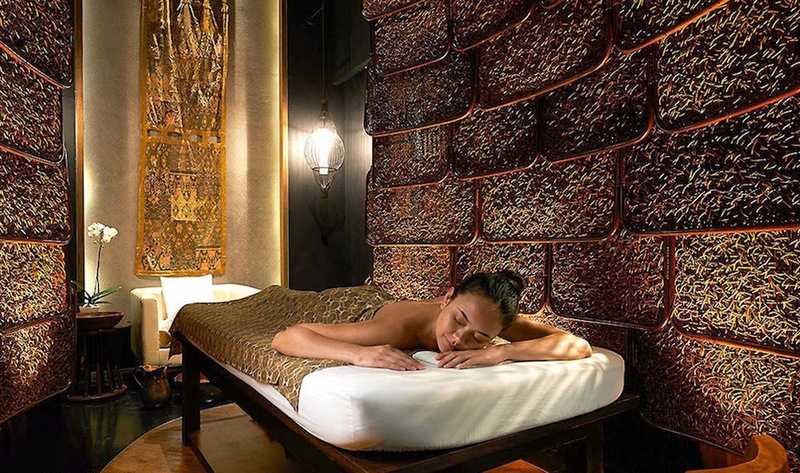 Head to Iridium Spa at The St. Regis Bali Resort for their firming oxygen-infused facial, or So SPA at Sofitel Bali Nusa Dua Resort for some French flair and refined beauty treatments. For something a little different, head to the Ice Room at Mulia Spa for some hot and cold body therapy, or if you’re looking for a bit of a makeover to complement your hot holiday tan, head to The Shampoo Lounge for a hair salon, make-up, spa and barber combo! Nusa Dua’s collection of beaches are nothing short of picture perfect. With gorgeous white sands and clear turquoise waters lapping gently on the shoreline, the beaches here are ideal for families and for spending the day sunning and soaking. Surfers can head out to the offshore reefs for some world-class waves, while the calmer waters just beg for snorkelling, SUPing and swimming. Head to Geger Beach for long and wide white sands, Pantai Mengiat for spatters of sunbeds and beachfront warungs, or Nikko Beach for camel rides and deserted sands. 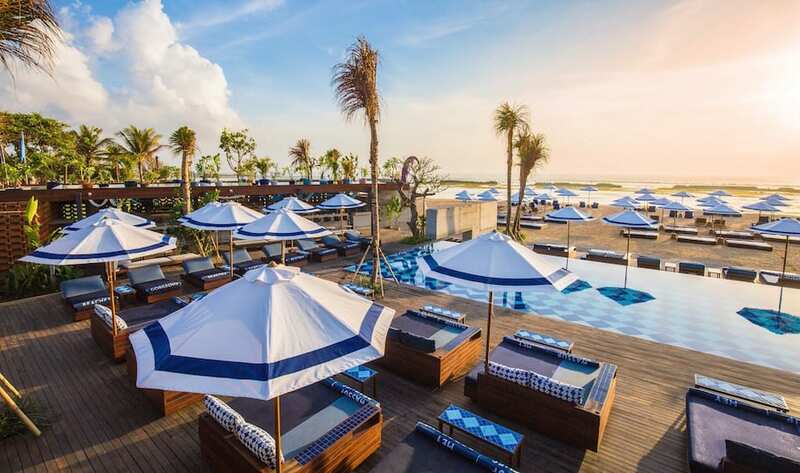 At the main Nusa Dua beach tucked away within the ITDC resort area, you’ll find surf rentals, beach bars, restaurants and even the Bali Collection shopping complex. 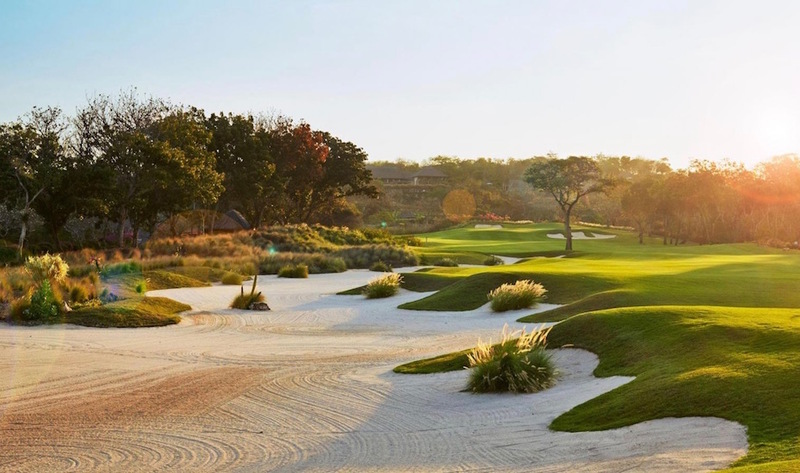 Whether you’re a beginner, a pro or just a casual weekend golfer looking for a relaxing holiday hobby, Bali National Golf Club is Nusa Dua’s international-standard manicured golf course with three distinct playing environments across an 18-hole course. There are creeks and canyons, sculptured fairways and elevated groves, and for the final hole, a challenging lakeside green. There’s also a Pro shop, a driving range with putting green, and even a modern clubhouse overlooking the Indian Ocean. Now that’s a golf course! Bali National Golf Club at The Maj NUSA DUA, Kawasan Wisata Lot S-5, Nusa Dua, p. +62 361 771 791, e. reservations@balinational.com. Nusa Dua is home to a number of street-side shopping vendors selling fashion, art, spa products and souvenirs to take home with you. 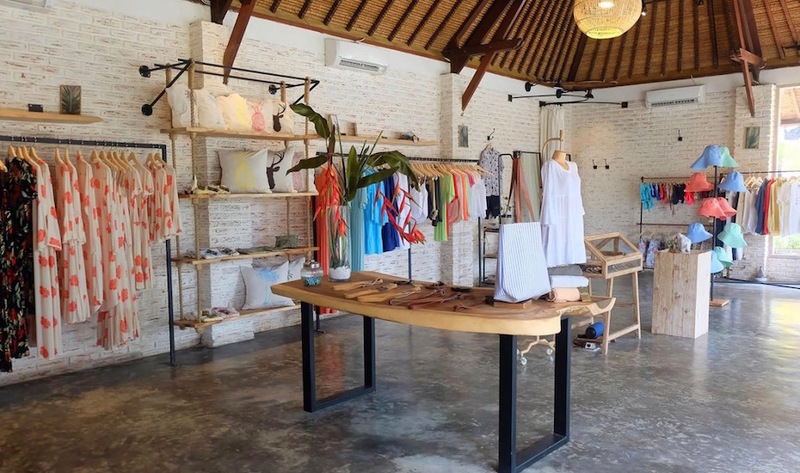 Most of the luxe resorts have their own boutiques too, but venture out to Bali Collection for a western-style shopping experience, with its designer labels and high-street names all in one village-style outdoor mall. 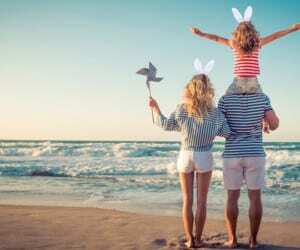 You’ll find everything here including surf favourites from Billabong and Quiksilver, to island labels like Bamboo Blonde, and designer fashion from Dolce & Gabanna, Prada and Ralph Lauren. There’s also plenty of restaurants and spas here too, so don’t be surprised if you shop ’til sunset. Bali Collection, International Tourism Development Complex, Nusa Dua, p. +62 361 771 662. Open daily 10am – 10pm. Culture vultures, you’ll want to pay a visit to Museum Pasifika – Nusa Dua’s hub of specialist artworks from the Asia-Pacific region. You could spend hours here traipsing around the eleven display rooms that represent each part of the Asia-Pacific, soaking up the collections of historical artefacts and cultural items. The showcase features more than 600 pieces from over 200 artists from 25 countries – a harmony of different styles and artistic forms that pay tribute to the cultural heritage of the region. 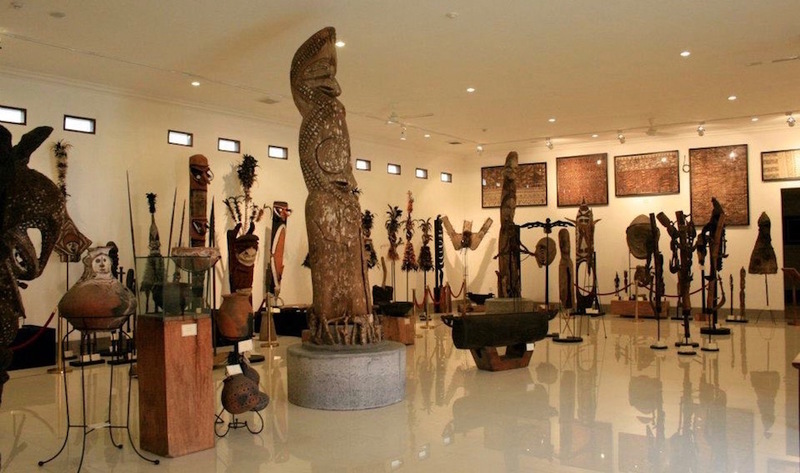 Museum Pasifika, International Tourism Development Corporation (ITDC), Block P, Nusa Dua, p. +62 361 774 935, e. info@museum-pasifika.com. If you want to escape to the open ocean, charter your own boat for the day and head out for a spot of fishing. There are plenty of tours, boat hires and excursions to choose from, with Captains that have decades of experience aboard fully equipped vessels. 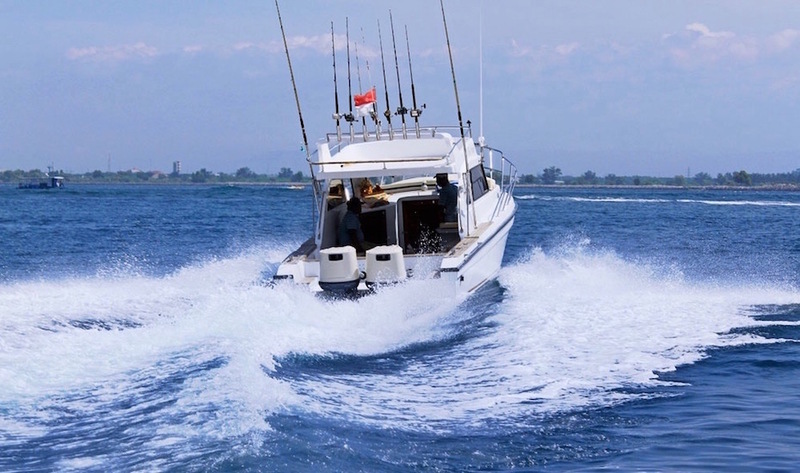 For the best quality equipment and most experienced crew, we recommend Nusa Dua Fishing or Bali Jet Set Dive & Marine Sports – specialists in providing top-notch ocean services to Nusa Dua’s holidaymakers. And if fishing doesn’t float your boat (‘scuse the pun), then snorkel the vibrant reefs, cruise around the island, or simply relax on board as you soak up the ocean rays.